UFC fans are all very familiar with the trademark spectacle and hype that comes with anything involving Conor McGregor. His brash, in-your-face, unapologetic style offends his opponents… but has also won him legions of fans. That's why there was such an uproar when Conor sent out a simple tweet yesterday. Wait. He's retiring? Say it isn't so!!! He can't possibly be serious! Can he? No other word has come from McGregor or anyone authorized to speak for him since the tweet was sent out. UFC President Dana White did confirm that McGregor has been pulled from UFC 200 (where he was supposed to re-face Nate Diaz). Dana would not, or could not, confirm whether McGregor had indeed retired. Dana White did offer something of an excuse for the absense. White claimed that McGregor was too busy training in Iceland to fly to Las Vegas to film the required promos for the fight. If that doesn't sound right to fans, well—it shouldn't. McGregor is in his element when he is doing promo work. He's a natural. Fans and microphones gravitate towards him when he starts to talk. It's hard to believe doing promos would hold him back from fighting. Why doesn't White just say McGregor has been pulled because he retired? Well, perhaps it's because until Ronda Rousey returns, he does not have a star who can turn fair-weather fans into repeat customers. If McGregor is actually retiring, White has no stars at all. The question on everyone's mind, of course, is whether it is true. Is Conor McGregor actually retiring at the tender young age of 27? Many athletes are retiring at relatively young ages today because of injury concerns, whether they have suffered them or not. As more is learned about the possible long-term effects of injuries (especially head injuries), more athletes are choosing to walk away early rather than hobble away late. Why not earn some money and still have your health rather than a lot of money that you end up spending on doctors and therapy? As an example, McGregor was sitting ringside for the Joao Carvalho – Charlie Ward fight. Carvalho lost when the ref called the fight for Ward in the third round. He later complained about not feeling well and ended up dying due to head injuries suffered in the fight. He was 28-years old. "To see a young man doing what he loves, competing for a chance at a better life, and then to have it taken away is truly heartbreaking," he wrote. "We are just men and women doing something we love in the hope of a better life for ourselves and our families. Nobody involved in combat sports of any kind wants to see this. It is such a rare occurrence that I don't know how to take this…"
If Conor is smart, he should be set for life financially. We here at Celebrity Net Worth estimate that Conor's current net worth is $14 million. From his fight with Diaz alone, he made a UFC-record $1 million purse. When combined with his take from the pay-per-view revenue, his total earnings from that fight were rumored to be anywhere from $10-15 million. Plenty of athletes would blow right through $14 million, but maybe McGregor will be different. After all, he knows exactly what it is like to be broke. 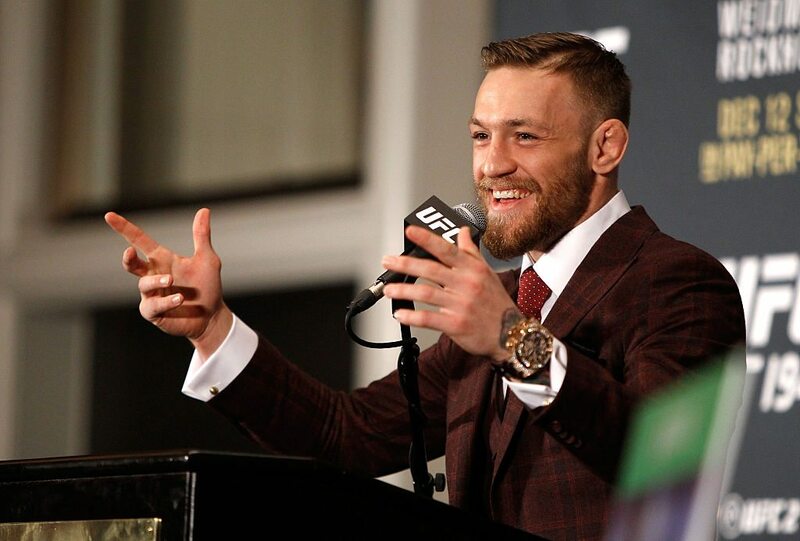 Did you know that one week before his UFC debut on April 6, 2013, Conor was collecting $230 in welfare in Ireland? So maybe the memory is fresh enough in his mind that it will keep him from becoming another rags-to-riches and back to rags story. Or maybe it is all a ploy to get more money out of Dana White. Maybe McGregor still expected to get a HUGE purse for his rematch with Diaz, and White refused. So McGregor pulled the only card he could… he quit. If that is indeed the case, the proverbial ball is in your court, Mr. White–or will UFC's loss be Bellator's gain (if they can afford him)? Conor McGregor is challenging Mark Wahlberg to a fight. The prize? The actor's shares in UFC. 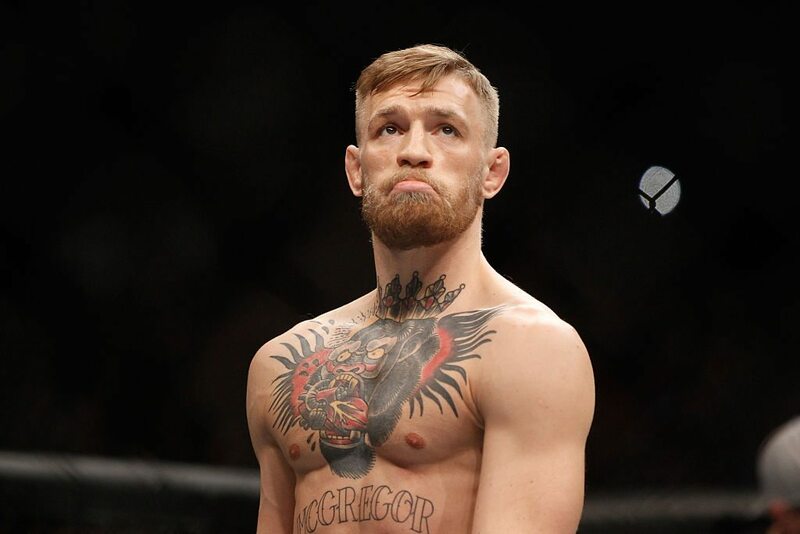 Conor McGregor Supposedly Retires From MMA/UFC - Is He Rich Enough To Never Fight Again? In a surprise move, Conor McGregor announced late last night that he is retiring from MMA fighting. What is Conor McGregor's net worth and career earnings? Floyd Mayweather made a reported $9 million for a fight that lasted a little over two minutes, so the appeal for McGregor should be obvious.